The trees in your backyard may add a bit of green and life to your property, but they may prove troublesome to your sewage system. It may seem impossible, but the roots of the trees can actually cause considerable damage to the drains and pipes of your home. The mighty oak in your backyard may look nice, but it may be what’s causing your utility bills to spike up, which is why you need to address the problem sooner than later. Tree roots are surprisingly strong and nothing will get in the way in their quest for water, even if it means boring through a concrete pipeline. The damage it can cause to the pipe system is surprisingly extensive. As the roots grow further, it branches out and tears through multiple holes and weak points in the pipes, which mean that just cutting down the tree won’t solve the problem. Larger trees, such as the oak, fire and certain palm species, have thick roots that branch outwards and inwards, meaning that if it finds out that there’s water in it, it can literally tear apart your home’s pipeline from the ground up, causing flooding in your backyard and necessitating costly repair and replacement work. Finding out if the trees in your backyard are invading your pipes is actually more difficult than getting rid of them, so you need to watch out for the tell-tale signs. Slow flowing drains are a sign that the tree roots have already obstructed a portion of your external pipeline, as well as gurgling noises coming from the bowl. While these symptoms are often associated with ‘general’ blocked pipes, such as when you flush plastics and tissue paper down the bowl, the tree roots actually take up more space within the pipes once it tears through it. It also absorbs the water itself, further decreasing the flow of water throughout the drainage system. Unfortunately, there’s little you can do by yourself once you find out that a tree has taken root in your home’s pipe system, as they really need to be removed completely. What you need is professional help. 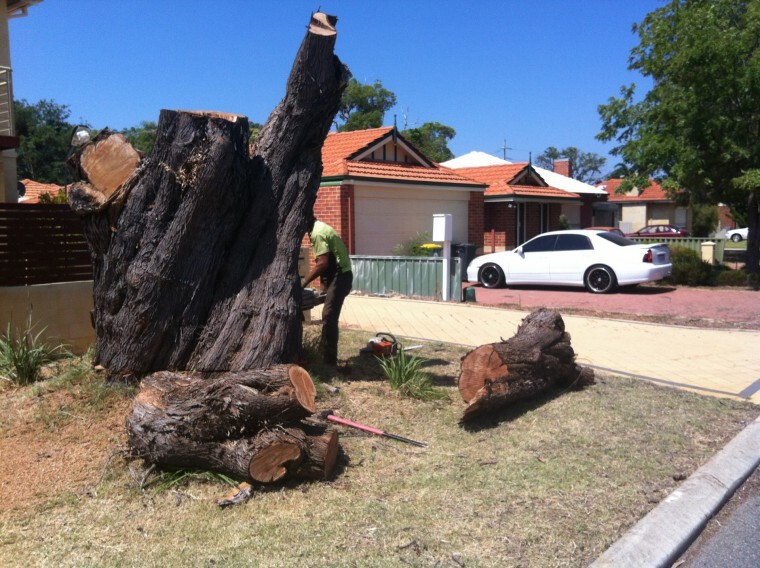 At Beaver Tree Services, we provide efficient tree removal service. No task is too big or too small for us; we’ll get it done fast and easy.